I decided to use Blogger with my students this year. We will have a class blog only, not individual blogs. 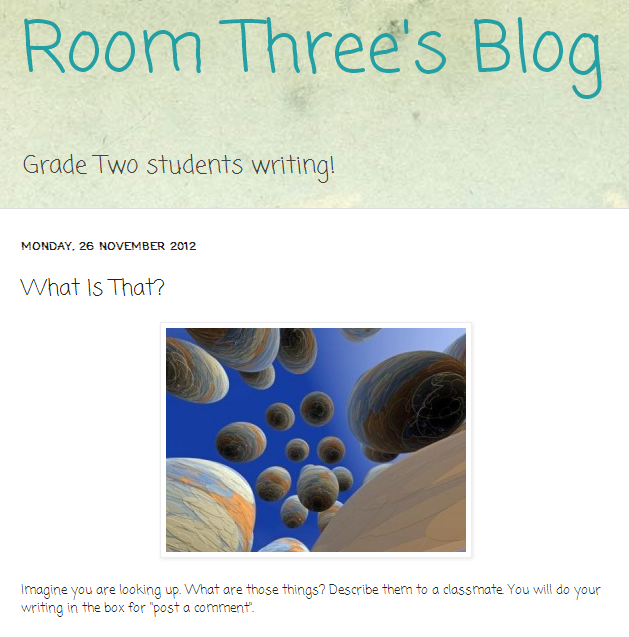 I have blogged with student before but I have never used Blogger with grade twos. If you have never used Blogger before, give yourself some time to set up your Blogger account and your blog. Under settings, you will see "permissions". Add each of your students. They will need to accept the invitation by going to their Share mail account during your first lesson. I also have decided to keep this blog private. However, I added our school's administrative team as readers. 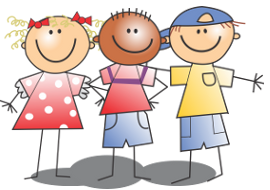 I plan to find a buddy class either in or out of the school to add as readers. If you do not select an option, your blog is open to all readers by default. My final step of preparation was to create a post for the students to do their writing about. I found the image I used on Writing A Writing by searching Google images with the search terms: writing picture prompts. As my focus was on them posting for the first time, I did not want to complicate matters by making the writing assignment too complicated. On the day before we started blogging I showed them the picture prompt. Students did a think-pair-share about the image. Then we did a class write using a descriptive paragraph organizer (here is a paragraph organizer similar to what I used) on the Smartboard. I gave them the first part of the first 3 sentences and I gave them the last sentence. I looked up and saw .... They were .... It sounded ...I felt ... I wonder if I will ever see them again? We brainstormed possible endings to each sentences which I recorded as jot notes on the Smartboard. I booked the netbooks for an hour for this first round of blogging. Once students got set up to blog, I pulled up the Smartboard brainstorm again. We reviewed the ideas. Students did one line at a time on the netbooks. After most students were finished one line, I had them all put their netbooks at a 45 degree angle and reviewed the next line. For those students who needed a challenge, I had them extend their "I felt" sentence to include "because" or encouraged them to add a sentence of their own. Once the first three or four students were finished and ready to publish, I reviewed how to use the spell check function. Up until this point I had been teaching it individually as it was appropriate. Students had to address their red squiggly lines and then put their hand up before they could publish. I read their posts and then gave them permission to publish. Once a number of the students had published, I again asked students to put their monitors at a 45 degree angle. I then demonstrated how they could comment on other students' work. I modeled reading a post and then selecting reply and typed "good job". The energy in the room changed when they started to see other people posting on their work! It was motivating to me to see how excited they were. For the last part of the writing period students completed their posts (some required my assistance to complete it) or commented on posts.